Posted 06/14/2017 by Richard Savery & filed under News. 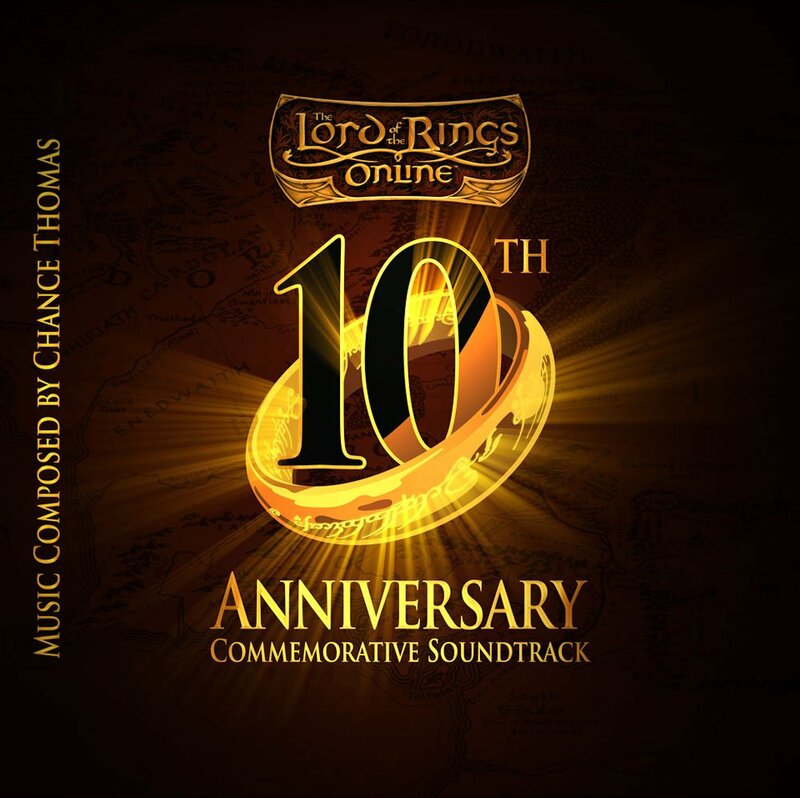 HUGEsound Records will release THE LORD OF THE RINGS ONLINETM 10th Anniversary Commemorative Soundtrack through all major digital music outlets worldwide on June 23rd. This 26-song double album features Chance Thomas’ very best work for the game over the past 10 years. RS: What made you decide to do an album release now, 10 years after the initial launch of the online game? CT: LOTRO is celebrating its 10th Anniversary this year. Ten years of continuous gameplay, updates, expansions – all online, all the time. It’s a remarkable achievement. As the fan base has grown over the past decade, many have asked that the game’s music be gathered into a collection and made available. We felt like the 10th anniversary was a great time to do it. I’m also working on the 10th LOTR-based game project of my career, so it just felt like the stars were all aligned. 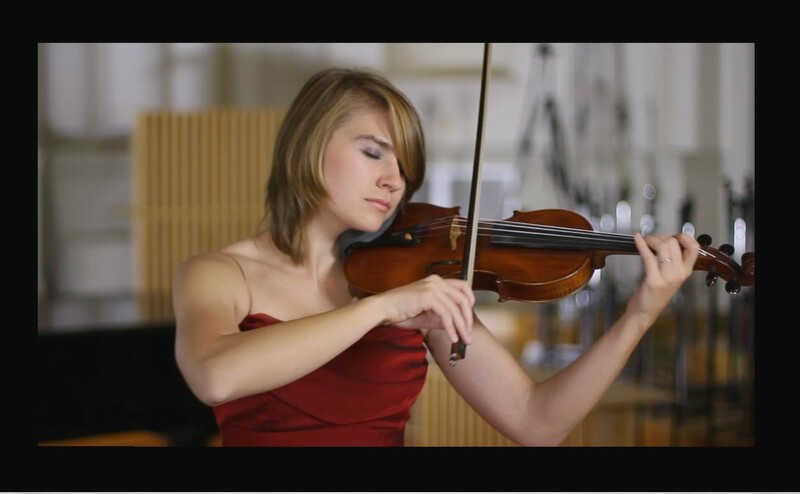 RS: With such an extended period of composition, how did you choose what music to include in the soundtrack? What was the process like creating an album from such a wealth of music? CT: I spent several months cutting and re-cutting tracks, editing this, rearranging that, and listening to make sure the entire double album listening experience flowed beautifully and fit together perfectly. It sounds like a marketing pitch, but the result is an absolutely epic musical journey through the world of The Lord of the Rings, with a natural rise and fall that wends its way wonderfully throughout. Long-time LOTR fans will be delighted by this. I think even newcomers will be pleasantly surprised by the range and breadth of music. RS: From a licensing perspective was it difficult to get permission to release this? CT: Yes, the legal negotiations were incredibly difficult. The project died several times and I had to resurrect it again and again. Just bringing all of the key players to the table in the first place was staggeringly difficult– Warner Brothers Interactive, Barham Music, Sony, Middle-earth Enterprises (representing the Tolkien estate), the game publisher, the developer, the record company – lots of important and busy people under pressure to deliver big profits. A soundtrack you say? No big business is initially interested in a score soundtrack these days. They all have bigger fish to fry. So it took every bit of my fortitude and determination not to throw in the towel right from the start. Oh, and once everyone came together, we still had months and months of negotiations. So many stakeholders, so many agendas. Finding a few common threads of mutual interest was a challenge. But one by one, as the key negotiators caught some vision, we began to make progress. And once they became invested in a commonly desired outcome, then we started moving towards the finish line. Negotiating is both a delicate and brutal art form. I highly recommend that composers study negotiating books, maybe take a course on the subject, and always remember – you don’t get what you deserve, you only get what you negotiate. This is a key topic in chapter 11 of my textbook, Composing Music For Games. And to make the point even stronger, realize that you don’t even get what all parties agree to verbally, you only get what finally finds its way into the legal document that everyone signs. It can be grueling. RS: Going back and listening to music you worked on over the course of 10 years has your approach to the music evolved? Are there any insights you’ve gained from working on the same game for an extended period of time? CT: Definitely. All composers’ skillsets grow over time. I’m certainly able to bring a more sophisticated language to the music in this franchise after a decade of working on it. But it’s also interesting to me that the core magical elements which I discovered a decade ago, still consistently weave their way throughout the entire score, up to the present day. 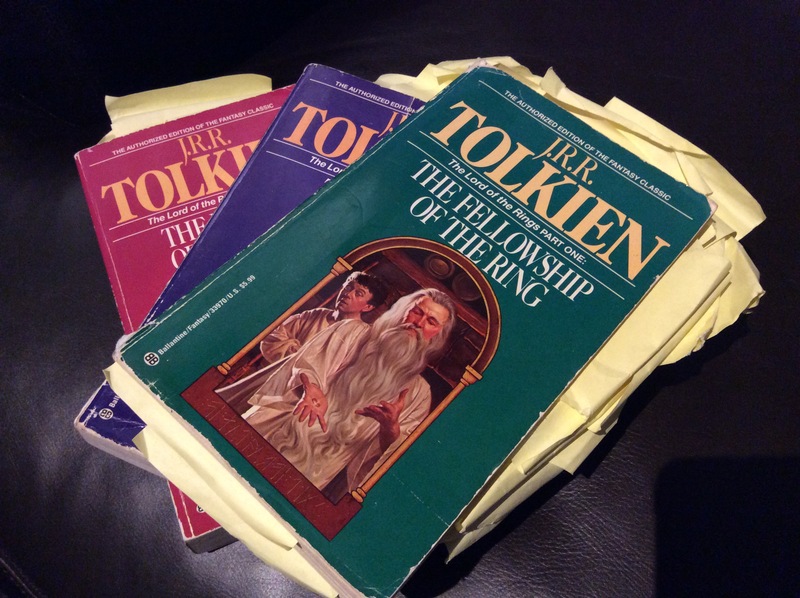 First, all of the music is deeply and spiritually connected to the literature of JRR Tolkien. Each composition grew out of my personal love affair with the books and my many years of nerdy research uncovering their secrets. I pulled out every reference to instruments, voices, music, songs, etc. I defined instrumental palettes for each of the primary races in an orchestral setting, and also in a small acoustic ensemble setting. Vocal ranges, harmonic signatures, themes, even home keys were defined at the very beginning. And I’ve remained true to those early determinations, so there is a consistent approach across the years. As Game Developer Magazine once published, this music is “drawn from the very pen of Tolkien’s writings, ringing of truth to anyone familiar with its pages.” Those who love the books will feel an immediate, organic connection to this music. Finally, I approach the production of each score with the highest possible quality standards. 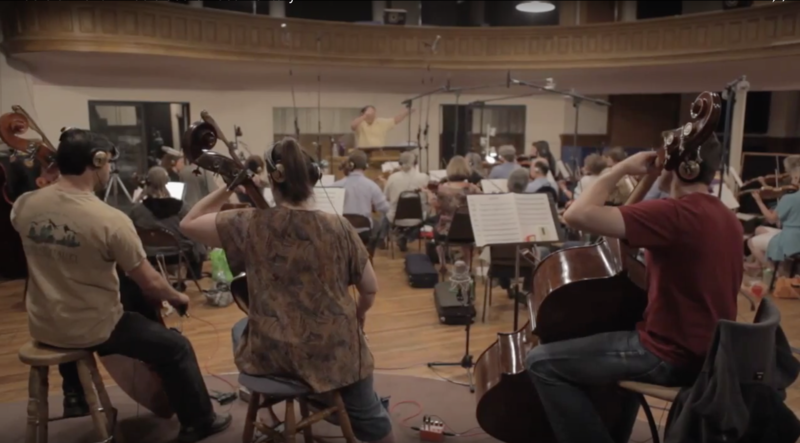 Large live orchestras whose players have extensive studio recording experience. Totally dialed in small acoustic ensembles. Riveting vocal soloists and epic live choirs. Always, the finest studio musicians and facilities available to us were utilized. The best engineers, the cleanest signal path, the most devoted mixing artists. I am also a stickler for details in the way I produce sessions – whether recording, editing or mixing. It is a quest for beauty, a stretch for excellence. I think that’s the third common element across 10 years of LOTRO scores. RS: You’ve spoken about it before, but it’s such an inspiring story and would be great to hear for those who don’t know it. What was your background with Lord of The Rings and how did you become involved with Lord of the Rings Online? CT: Vivendi-Universal Games had acquired the license to build games based on the Tolkien works. They were looking for a franchise music director to insure that the music across the entire franchise had internal continuity as well as congruity with the books. After all the comprehensive research I had done (described above), and armed with the results which I had gathered into a 26-page document called The Tolkien Music Style Guide, I went to LA and made my pitch that I was the best person for the job. I also showed them my copies of the books, all underlined with stick notes poking out everywhere. Combined with the music I had already written, it made a fairly compelling case. RS: LOTRO has a very dedicated fan base, and there’s a particularly large amount of LOTRO fans who have gotten behind your music and input into the game. Why do you think this is? CT: Like many of LOTRO‘s players, I hold The Lord of the Rings trilogy in the highest regard. I have profound respect for the source material, and that comes through in the music. I think that resonates with fans of the books and players of the game. RS: Finally, a question about your role in G.A.N.G. You’re now stepping down from your role in the G.A.N.G. Board of Directors, could you talk about your background in G.A.N.G. and why you’re choosing to step down? CT: G.A.N.G. is awesome, I am one of the founding members of G.A.N.G., and will remain a member until I retire. I love what G.A.N.G. has accomplished and I‘ve loved being part of it. I‘ve served on the Board of Directors since the very beginning. I‘ve served as Guild Secretary, and I brought the music screening committees together and ran them for a time. I‘ve very proud of the work we‘ve done together. But it‘s time for some new blood. We have so many great young members in today‘s Guild. Their voices, their ideas, their energy and passion need to become part of G.A.N.G.‘s new leadership voice. I believe in them, and I believe they can lead us to places we‘ve only imagined so far.